What drives you? When I stopped by the Iowa Corn 300 at the Iowa Speedway on July 9, ethanol wasn’t the only driving force as Indy cars roared past the grandstand. While the cars shot around the oval at speeds over 200 miles per hour, covering the length of a football field in less than a second, I was also struck by the passion that drives today’s corn-grower leaders. It’s a spirit fueled by a strong sense of history and a focus on the future as the Iowa Corn Growers Association (ICGA) celebrates its 50th anniversary. 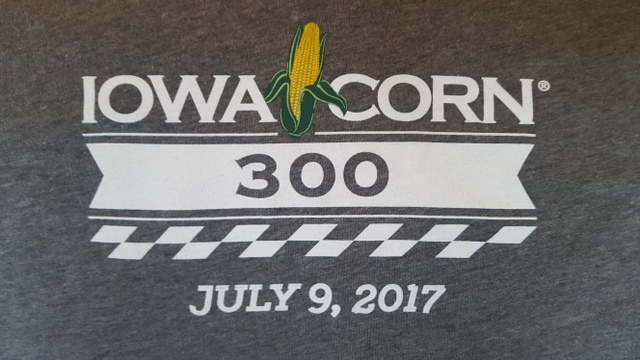 “Long before the Iowa Corn 300, the whole ethanol industry got started by visionaries who were tired of being captive to low corn prices and wanted to find a way to write their own ticket,” said Mark Heckman, a farmer from West Liberty and chairman of the Iowa Corn Promotion Board (ICPB) who visited with me during the race. Those visionary farmers included Thurman Gaskill, a Corwith farmer who served as ICPB’s first president in 1978. When this future ICGA president and state senator pumped Iowa’s first tank of corn-based ethanol (called gasohol back then) in the eastern Iowa town of Clarence, many people viewed this new fuel as just a corn-fed gimmick. Corn growers like Gaskill were undeterred in their quest to provide a solution to the 1970s energy crisis and low corn prices. Iowa Corn leaders found five filling stations willing to sell gasoline mixed with 10 percent ethanol in Clarence, Cumberland, Osage, Peterson and Fort Dodge. The fuel cost about 70 cents per gallon, and customers drove away with a free “This car powered by Gasohol” bumper sticker. The Fort Dodge station sold about 350 gallons in the first hour, mostly to farmers who pulled up in their pickups, according to ICGA. 1982: The U.S. Environmental Protection Agency (EPA) announces standards to reduce lead content in gasoline, paving the way for ethanol’s use as a replacement octane booster. 1985: The Ford Motor Company rolls out the first vehicles designed to run on unleaded gasoline. 1988: Iowa Governor Terry Branstad orders all vehicles in the state government’s fleet to run on ethanol-blended fuel. 1990: The federal Clean Air Act is amended to mandate the use of clean-burning additives to fuel, while the Iraqi invasion of Kuwait focuses attention on U.S. oil supplies and the importance of home-grown ethanol. 1999: The ICPB hosts workshops with ethanol plant representatives and other ethanol supporters to develop new farmer-owned ethanol ventures. 2004: Iowa becomes the #1 ethanol-producing state for the first time. 2005: Congress creates the Renewable Fuel Standard (RFS) to help reduce America’s dependence on foreign oil, cut greenhouse gas emissions and spur economic development, especially in rural America. 2007: Iowa Corn develops a partnership with the new Iowa Speedway for the Iowa Corn Indy 250 (now the Iowa Corn 300) to promote higher blends of corn-ethanol fuels in high-performing engines. 2008: Corn prices soar to historic levels, triggering the food-versus fuel ethanol debate as food prices also spike. 2011: NASCAR adopts the use of E-15. 2017: More than 15 billion gallons of ethanol are produced annually in America, and ethanol is used in more than 95 percent of the fuel sold in America. This column first appeared in Farm News in July 2017.